Do landscape shots always have to be static? If you think about it you'll realise that they're often not. The idea of movement isn't usually a thought that first springs to mind when you try to describe what a landscape shot is. However, when you start to think of popular landscape topics such as waterfalls, rivers, trees, clouds and the sea, you suddenly realise movement, which makes shots more dynamic, crops up more often than you think. 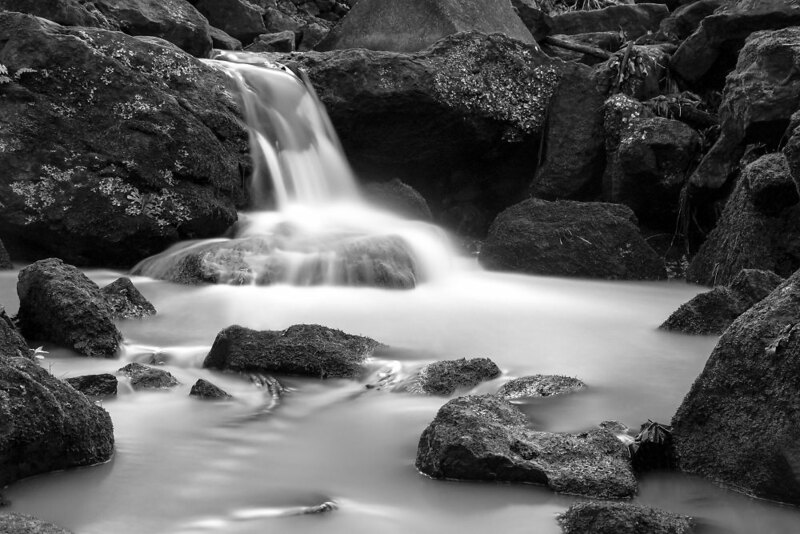 Slowing your shutter speeds can create the sense of movement in your landscape shots. Just remember you'll need to use a smaller aperture to limit the amount of light that reaches your camera's sensor. If you don't, you'll end up with a shot that's overexposed. If you find your shots are still a little on the light side, fit an ND filter to further reduce the amount of light going through your lens. For shots where you want to exaggerate the power/strength of your subject or for shots that have people/vehicles moving or birds in-flight, you'll need quicker shutter speeds, a steady hand and good panning technique all of which we'll look at later on. For shots of waves crashing against cliffs and sea walls you'll need a quick-ish shutter speed, around 1/125 should help you capture the power on display. Just remember, unless you want a soaking, to keep yourself and your kit out of the wave's reach. Have a lens cloth handy and remember to wipe your kit down thoroughly once you're back home. For shots where the waves turn into a mass of soft, blue and white blur use exposures which are 5 seconds or more. If it's a particularly bright day make sure you have an ND filter to-hand and use the smallest aperture and ISO possible. 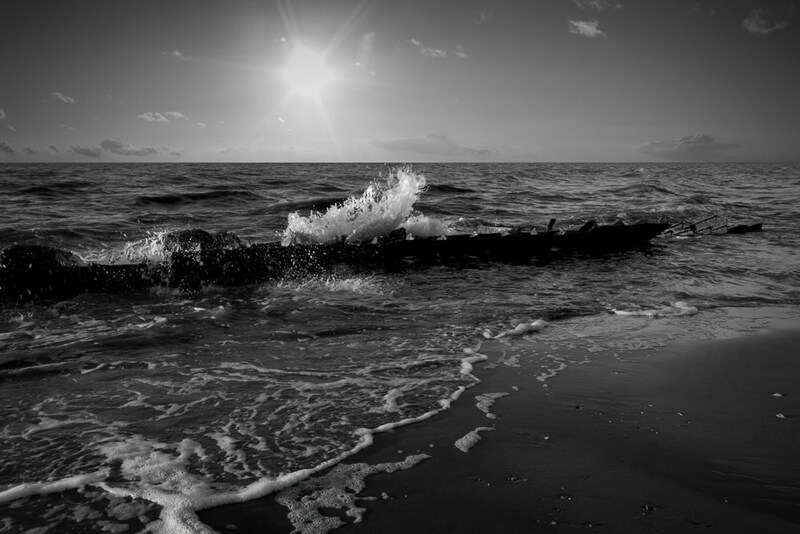 If you want the waves to have a little more shape to them use a slightly shorter exposure. How short you go will depend on the amount of shape you want and how choppy the sea is on the day so you may end up experimenting with a few different exposures before you land on the one that gives you the shot you're after. We've covered waterfalls in a previous article so here are just a few quick tips to get you started. For a more in depth look, take a look at our previous technique: Shooting waterfalls. What shutter speed you use will be determined by how much blur you want, the focal length you're using and the amount of light available. Pick an overcast day when you're going to be using longer exposures. Your shot is less likely to have contrast problems too when there's a touch of cloud cover. An ND filter can help you extend your exposure times while a Polarising filter will reduce the amount of glare/reflection coming off the water. Faster shutter speeds will enhance the power/force of the waterfall, freezing the movement of the water as it cascades and splashes on rocks. Have a go at photographing water bubbles. Cloud formations can appear and vanish again even before you've thought about taking a shot so if you do spot an interesting one make sure you snap it straight away. Keep an eye on your histogram to make sure your shot doesn't have areas which are overexposed and if the formation is really spectacular cut some of the foreground out, moving the horizon down so the sky fills more of your shot. Use slower shutter speeds to blur the movement of the clouds and look out for trails left by planes too as the criss-crossing lines can make an interesting abstract shot. If you want to capture birds in-flight you'll need a quick shutter speed, continuous auto focus and a good panning technique. As soon as you see a bird come into shot lock your focus on it straight away and follow it through the frame, panning even after you've taken your shot. To freeze the movement you'll need to use a shutter speed around 1/500sec but if you want to blur the movement of their wings try something slower around 1/30sec. When it comes to people, how fast your shutter speed is will depend on what they're doing. For example, someone who's water skiing will be moving a lot quicker than someone rowing across a lake. An extremely interesting and well written tutorial stuffed full of great tips. Beautifully explained with a photo - Movement In Your Landscape Shots. I can see some kind of a break water structure against which the waves dash and spray out. And B&W rendition has added a timeless dimension. But can't say the same for the waterfall example. The natural flow of water, the beautiful sense of patter and gurgling is lost, as it is converted into something akin to a "gas or vapor". This is a bad bad example. A photo overdone. Regards. Bipin from the world's IT Capital - Bangalore. Beautifully explained with a photo - Movement In Your Landscape Shots. I can see some kind of a break water structure against which the waves dash and spray out. And B&W rendition has added a timeless dimension. But can't say the same for the waterfall example. The natural flow of water, the beautiful sense of patter and gurgling is lost, as it is converted into something akin to a "gas or vapor". This is a bad bad example. A photo overdone. from the world's IT Capital - Bangalore.